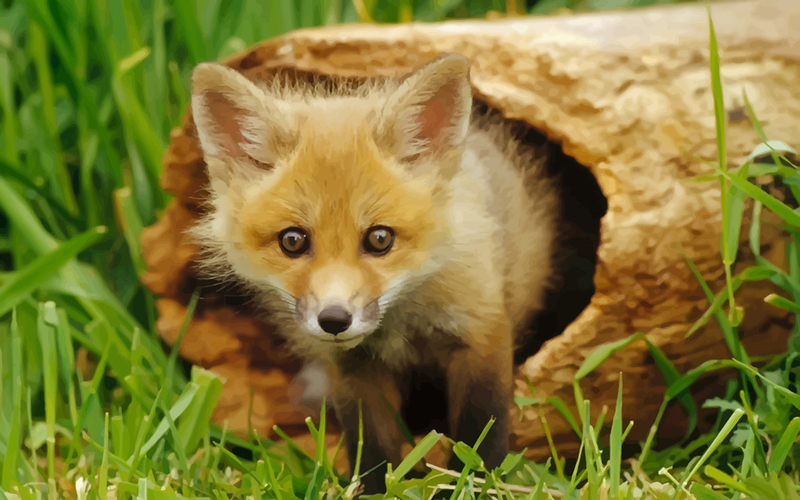 Vector wallpaper of cute baby fox in the wild. Free beautiful baby animal, outdoor and wildlife wallpaper vector in Illustrator EPS, AI, SVG and PDF vector format plus hi-res pixel JPEG format. Please rate and comment on your favorite free vector animal wallpapers. Images are copyright of the respective owners.